When I started The Naked Vine lo those many years ago, one of the wines I reviewed in my very first column was a varietal that I’d only recently turned on to – Malbec. I’ve not covered Malbec as much over the last few years as my palate swung back towards the Old World, but it’s too good a grape to pass up for long. In the mid 1800’s, cuttings of French Malbec vines were brought to Argentina and transplanted. After some ups and downs in production, Malbec rose to viticultural prominence in the 1990’s in Argentina and is now both their most widely planted red grape and most exported wine. The terroir of Argentina turned out to be uniquely suited for growing this formerly humble blending grape. Rather than the dark, tannic monster from Cahors, Malbec from Argentina thrives in the high altitude of the Mendoza region – yielding a wine that, while still quite powerful, is considerably more approachable. Argentine Malbec typically has big fruit flavors and smoky tannins. These wines typically pair beautifully with anything that can be dragged across fire. Grilled steak, chicken, and pork are classic pairings, and it holds up well against strongly flavored sauces and cheeses. Malbec also tends to have a fairly reasonable price point. The success of the grape in Argentina has attracted some Old World winemakers to South America, where they attempted to merge the more elegant French wine style with the Argentinean flavor. 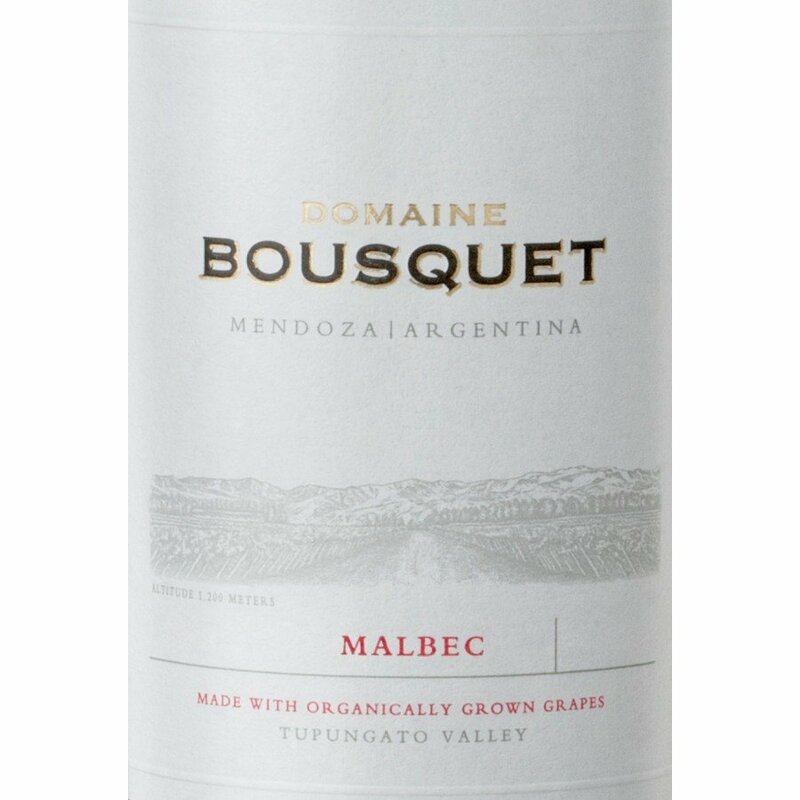 One such example is the Domaine Bousquet 2015 Malbec. Domaine Bousquet, founded in 1990 in the Uco Valley of the Mendoza region, produces exclusively organic wines. This particular Malbec boasts a dark violet color and a big nose of plums and violets. The mouthfeel is quite sturdy, with lots of chewy, tooth-staining tannin – more so than some of its typical Argentine cousins. However, that tannin is balanced by more of that plum flavor, as well as some blackberry and leather. The Bousquet’s finish is long, tannic, and smoky. It calls out for -- nay, downright demands -- grilled food. We tried it with some burgers – both beef and pork – and it was spot-on. A medium-rare steak with a spice-blackened crust would also be a good choice. The Domaine Bousquet retails for around $12. It’s well worth it. As we approach the point in Earth’s orbit where I started my life’s journey back in the days of polyester prints and bell bottoms, I kicked off my birthday week with a bubble. More accurately, many bubbles! The “Cartizze” is the Crede’s big brother. Retailing for around $50, the Cartizze represents the top end of Bisol’s production. Cartizze, then, is the specific location from which the grapes are sourced and where the Bisol winery is headquartered. Think of this wine as the “single estate vineyard” version from this producer – their crème de la crème. (Or “crème de la crede,” in this case.) 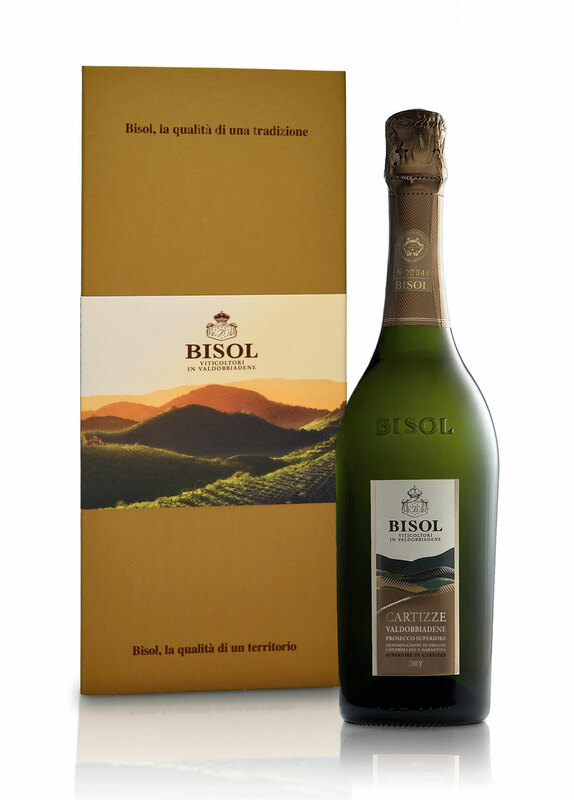 This wine is made from 100% Glera, the base grape of most Prosecco. On this particularly glorious Saturday afternoon, I got back from a lovely massage that the Sweet Partner in Crime had booked for me as a gift. (Also, big ups to 501 Salon – one of the best places for pampering anywhere in the Greater Cincinnati area…) Once my body reconstituted itself from the wonderfully melty state I was in when I made it back to Vine HQ, the SPinC put together a wonderful little antipasta plate, we popped the cork, and headed for our front porch to enjoy some beautiful weather while we sampled. By nomenclature and by price point, this should be a pretty good wine. But I admit to some skepticism. I mean, $50 for a Prosecco? I know that Prosecco quality has increased a lot over the years, but is it worth twice as much as the next most expensive one I’ve tried? It makes a damned good argument. The perlage (“carbonation” in WineSpeak) was delightfully fresh and creamy. The flavor is exceptionally well-balanced and very fruity. The body is rich with peaches and pear flavors, but without the cloying sweetness that sometimes accompanies those flavors. The finish is long and fruity. I know what you’re thinking – my review there sounds like a lot of the other flavor profiles I’ve pushed out for Prosecco. Here’s the added angle. After every sip, I found myself reflexively eyeing my glass the way that I do when I get a really good red wine or a nicely crafted rum. The bursts of flavor were very different from many Prosecco, which can be somewhat uninspired, flavorwise. With the antipasti, I thought it was quite exceptional – whether with the charcuterie, cheese, olives, or even a real tongue-twister like marinated artichokes – the wine’s flavor worked both as complement and palate cleanser. Before the Naked Vine was but a twinkle in my virtual eye, I was a fairly prodigious homebrewer. This was before the early-aught’s explosion of homebrewing. Working out of a closet in my old bachelor pad tucked away off Harrodsburg Road in Lexington, I cranked out wildly varied batches of beer. I’d pore through brewing books and the scant online resources at the time to find new styles. Steam beer, Scotch ale, Belgian lambic, bitter (which isn’t bitter), porter, stout. I tried to taste the rainbow. I enjoyed learning how the various styles were classified, the various malts and hops that were signatures of a particular type. That knowledge made me a good consumer, especially once my preferences started to shift from beer to wine. Fast forward about…well…a decade and a half from my brewing days, and the craft beer revolution is in full swing. I’ve lost count of how many different permutations of India Pale Ale I’ve stumbled away from in the last few years. Hop heads carrying Moleskins have become common sights in the world’s brewpubs, sampling and classifying beers by taste, color, region, grain & hop terroir – even water sources. Some of them have adopted a bit of a hipster mentality, loudly proclaiming the superiority of a region or a style over another. 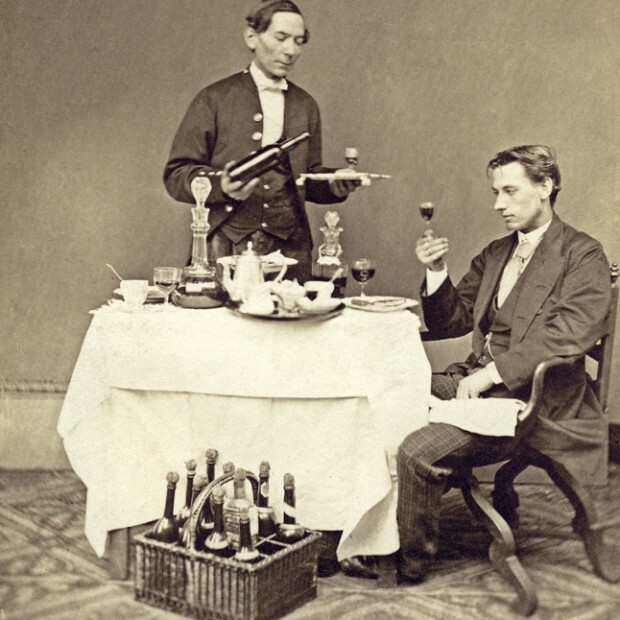 For centuries, the French have treated wine like the craft beer crews do their steins of suds. In Bordeaux, red wine is parsed so finely that our beery hipster’s ironic Grizzly Adams beard would grow half an inch from sheer envy. Traditionally, Bordeaux is classified according to the “Classification of 1865,” stemming from a decree from Napoleon. As we’ve covered before, the top wines in Bordeaux were classified into five “Growths,” based on their chateau of origin. The designation supposedly represents where the winery ranks on a hierarchy of general wine quality. (And if you imagine there might have been some skullduggery as wineries tried to get themselves “classed up,” you’d be 100% correct.) In all, there are 61 classified growth chateaux, and the wines they produce are historically the most expensive. If you’re curious, the wineries that make up the “Premier Cru Classe” (First Growth) are Chateaux Lafite, Latour, Haut-Brion, Margaux, and Lafite-Rothschild. Looking up the prices is left as an exercise for the reader, but fifth growth wines usually start around $50. Eventually, of course, some of those chateaux wanted a more prestigious designation within Cru Bourgeois. In 2000, the classification was revised again into three quality tiers, released in 2003. The reaction was swift and nasty, leading to French courts annulling the classification in 2007. Ever enterprising, the winemakers of the region compromised. They brought back the Cru Bourgeois designation in 2010 – but rather than a blanket award to an entire chateau, the designation is applied on a wine-by-wine basis, based on a yearly blind tasting. very similar, if not identical, to those used in classified growth wines. The producers of Cru Bourgeois argue, since their wines are tasted for quality on a yearly basis, that they can promise a product of equivalent quality to many classified growth wines. I was fortunate enough to receive a couple of examples of these Cru Bourgeois. I wound up with the Chateau Tour des Termes 2012 St. Estephe ($30) and the Chateau Lestage Simon 2012 Haut-Medoc ($22). We tried these over the course of a couple of evenings. The Tour de Termes was a real treat. The bouquet had a really interesting mint scent over a bit of old world funk. Smooth and silky, the palate yielded complex flavors of dark cherry and blackberry, with a little bit of tar and some firm tannins. The finish was easy and lasting, with really nicely balanced tannins. Definitely a wine for consenting adults. When we came back to it the next evening, it still held on to many of its smooth characteristics. Even at $30, I thought this bottle was a great value. The Lestage was also a good wine, but it lacked the wow factor and the complexity of the Termes. I thought it was a little more straightforward with the fruit, and didn’t have quite as much depth on the palate. This one had a little bit of a licorice flavor that seemed not to quite line up with the fruit. A day later, it had pretty much fallen apart and wasn’t too different from a “standard” Bordeaux to my tastes. Again, it wasn’t that it was bad – it just didn’t do as well in comparison. I think that a quality designation like this carries a lot more weight than simply relying on a historical classification from 200 years ago. As my sommelier buddies would tell me, the French “Grand Cru Classe” designations aren’t inaccurate, but there are always considerable differences from vintage to vintage – and the price point doesn’t always line up with the quality. A yearly “stamp of approval” at least lets you know that a wine has passed muster. I find that process eminently sensible. And if you can get a Bordeaux for $30 that’s comparable in quality to a classified growth, you’re doing pretty well for yourself. Try some and thank me later. Dinner for One. Wine for Six. Lovely. An uncomfortable silence settles over your tableful of playful banter like someone just asked for volunteers at a business meeting. Everyone nervously looks around, hoping someone…anyone will step up to the plate. Hell yes, you are! And I’ll be right there at your side with these few basic tips to help you win the evening. Once the server departs, Survey the Scene. “Does everyone want to go in on a bottle or two?” Some of your friends might want beer, cocktails, or a specific glass of wine. Get a quick sense of how many people you’re ordering for. A standard 750ml bottle equates to five 5-ounce glasses of wine. I usually assume 2-3 glasses per person during a leisurely meal for an ordering standard. Do appropriate multiplications and divisions to come up with a rough estimate of how many bottles you’ll need. Also, ask what folks are thinking of ordering, foodwise, to get a general idea on the pairing spectrum. For instance, if everyone’s getting fish, you’re probably leaning white. If you can’t determine whether a white or red will be best, order one of each and let people choose. And don’t let the server take the wine list away. Don’t Get Fancy. Remember, you’re not leading a wine tasting. While you may absolutely love the deep, barnyard funk of a particular French wine region, this isn’t the venue to wow the table with your in-depth knowledge. The pecking order is friends -> food -> wine. Think about middle-of-the-road, crowd-pleasing wines when you’re making your choice, since palates and entrees can be all over the map. Also, good restaurants often offer many of their most food-friendly wines by the glass, so file these away for reference as you’re perusing the list. Go Deep. There’s a reason that Cabernet Sauvignon from California, French Bordeaux and Burgundy, and Italian reds like Chianti show up so often on wine lists. People are familiar with them – at least by name – so they make for an easy order. Since they’re an easy order, many restaurants tend to increase the markups on these bottles. Every country has lesser-known wine regions and grape varietals, many of which you’ve explored with me here. Instead of Chianti, for instance, drop a Barbera on folks. If you’re thinking French Burgundy, maybe think about a red from Loire or Languedoc instead. Also, great values can be hidden on wine lists from somewhat obscure countries. Lesser-known varietals and wine regions are often priced to move. We know that South America makes fabulous, relatively inexpensive wine, for instance – and if you’re choosing between a California Cabernet and a Malbec from Argentina at a steakhouse, I can guarantee you the Malbec will give you a better bang for your buck. Go Cheap. (Or at least don’t be afraid to.) Do you think, outside of a Guy Fieri joint, a chef’s going to put something on a menu that they know tastes terrible? Of course not! In any decent restaurant, you should be able to order the least expensive item on a menu and still have a quality meal. A wine list is nothing more than a menu. A restaurant should vouch for every bottle on their list. Order what you think will be best. Don’t be Afraid to Ask. It’s perfectly OK to ask the server or the sommelier for advice. (After all, that is what they’re there for.) Rather than just asking, “What would you recommend?” give them a little guidance. If you’ve narrowed it down to 2-3 choices, say “I’m thinking about these. 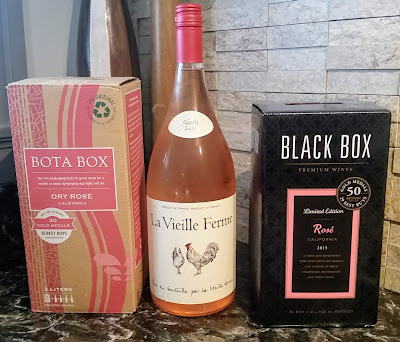 Which would you say is drinking best?” If you’re really stumped, maybe go to: “Can you give me a couple of options for a medium-bodied, food-friendly red?” or “What are a couple of mellow, somewhat fruity, dry whites?” They’ll suggest something workable. Be the Boss. Here come those bottles! Time for the wine service. The server or sommelier will first present you with the bottle to verify they’ve brought the correct selection. They’ll then open the bottle and usually hand you the cork. Look for any signs that the cork might have been damaged. If there are wine stains running down the sides of the cork, or if it’s crumbly or brittle, this can be a warning sign that the bottle is flawed. File this away mentally for the next step. Don’t sniff the cork – I mean, unless you've got a particular fetish for that sort of thing. Making this face at first sniff? Send it back. Please. The server will then pour a little wine into your glass. This is a quality test. You want to give the wine a vigorous swirl, sniff, and sip to see if the wine is defective. Does it taste slightly carbonated if it’s a still wine? Does it have an odd odor or flavor? 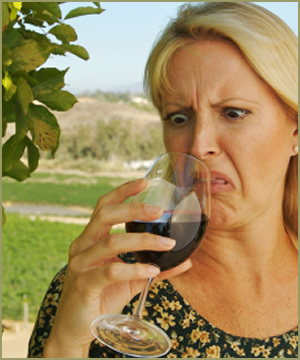 Flawed wine can smell/taste like wet newspaper, damp dog, a moldy basement, strong vinegar, or rotten egg. Trust me, you’ll know it if you encounter it. Get any of these smells, sensations, or flavors? Simply turn to the server and say, “I’m sorry. I think this bottle is off.” Be firm. Don’t be intimidated. Trust your instincts. Use the Force. Whatever you need. They’ll bring you a new one, trust me. It’s your damned bottle. Get a good one. Chances are, though, the wine will be just fine. If you sniff and everything’s cool, then lean back in your chair with a self-satisfied smile and say, “This will do nicely,” and relax as the server makes the rounds. 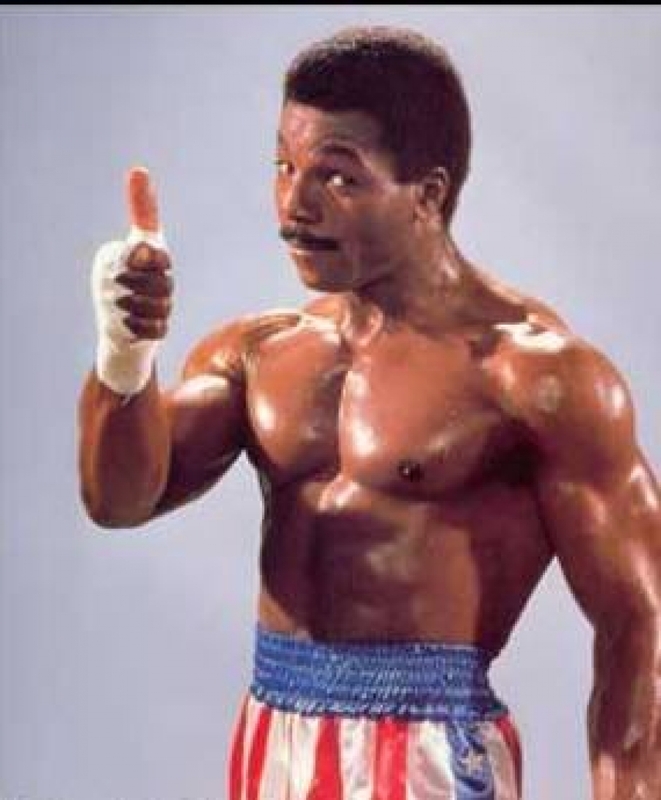 Finally, always remember that You Can’t Screw Up. There’s no “universal donor” in the world of wine. You’ll never find a bottle that’s perfect for a group of people with varied palates all ordering different meals. Your goal was to find a “good enough” wine, and you’ve done that! Once everyone has a full glass, raise your glass, give a hearty “Cheers,” smile, and bask in the admiring gazes of your friends.